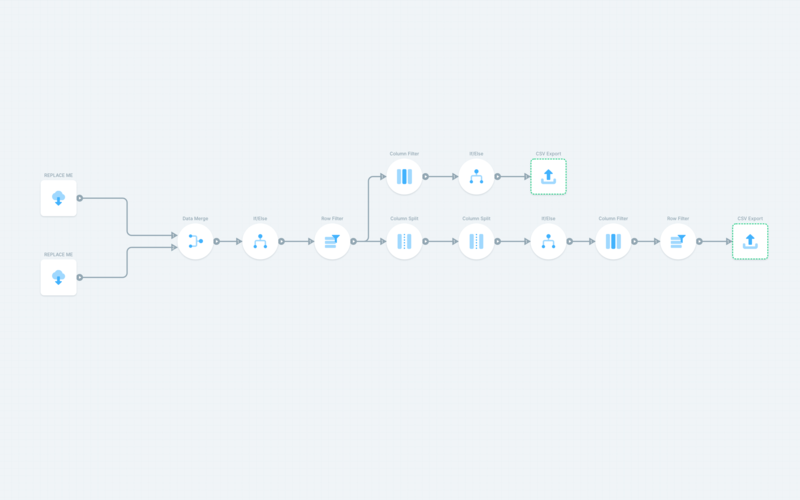 Conditional logic is a powerful way to create data pipelines. It can be used to compare specific cells or create automatic routing through different pipelines. In excel, you could use the IF statement, but it is inflexible and time consuming. With the If/Else object, you can create branching flows that route data entries according to a set of rules. You can also use it to compare new and old data, and then filter down to data that is different. In this example, we are using the conditional logic to compare two data sets to see if any emails or domains have been updated, and if they have been to prepare them for export to a service like Salesforce. The power behind the flow is using the If/Else Object to reference cells and compare them.